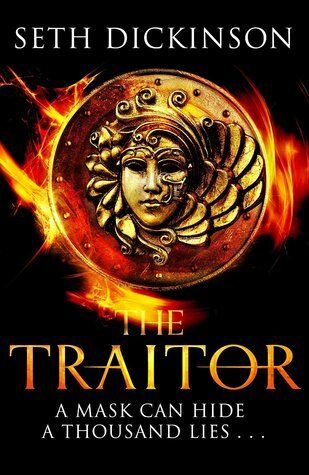 The Traitor (also sold as The Traitor Baru Cormorant) is a unique novel, quite unlike anything I've ever read before. That alone earns it a lot of respect from me. It's also intelligent, thoughtful, strategic, all without ever forgetting about character complexity. The Traitor starts when Baru Cormorant is a girl, watching sails in the distance. She is aware that her parents are troubled: Empire is at their doorstep, and they fear their civilization and culture is about to be subsumed. Baru has mixed feelings: there is something exciting about these ships, these foreign traders, and their spectacle and overwhelming power. Soon, she is recruited into their special school, destined to become one of the first of her people to absorb the Empire's culture fully. Then, a small skirmish with a neighbouring tribe turns into all-out war as the Empire 'supports' their allies with an army, and one of Baru's fathers dies. Her mother tells her foul play was at work: the Empire murdered him because he was in a family unit that was not monogamous. Some years later, the Empire's treatment of homosexuals becomes an urgent problem for Baru. 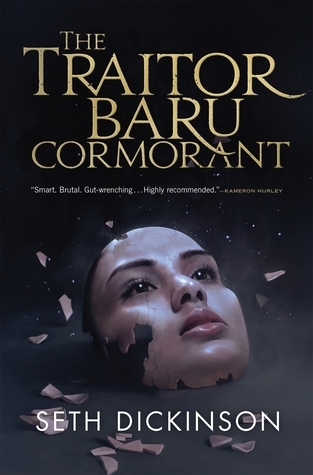 The Traitor Baru Cormorant is not an epic fantasy novel in the traditional sense. No orcs, no dragons, no elves, no monsters, no magic. In fact, it is more akin to an alternative Earth, with alternative human cultures. Some names echo names on Earth: there are several cultures whose naming conventions appear to be Latin American, African, Polynesian, etc. Baru Cormorant is not a traditional hero. She might leave her family behind, but she does not have a benevolent mentor. She has grand designs and dreams and wants to change the hostile world, but she does not do so through being a chosen one heading into battle on the back of a prophecy. You could argue that she is a chosen one, but she is chosen for her mind and her skill, called a savant. She is not chosen by her people or the good guys; she is chosen by the Empire. Perhaps most importantly of all, Baru does not pursue a path of heroism and binary good/bad, does not fight the empire from outside in futile rebellion. Instead, she uses realpolitik, manoeuvring the politics of power in a way that Tywin Lannister would be proud of. She acts utterly ruthless, even if she suffers internally. Baru Cormorant is a striking, memorable hero. I don't recall ever coming across a character like this - hard, strong, a stone cold operator, willing to do terrible things in the short term in service to her longer term goals. Not since watching the documentary 'The Fog of War' have I come across a personal conflict like that, and I struggle to think of any instance when such conflict occurred in books I've read. A Song of Ice and Fire, for example, may be full of politics and battle and betrayal, full of power struggles, but in comparison with Baru Cormorant, no character or family comes close in complexity. Song of Ice and Fire has good guys and bad guys, well-intended roads to hell (Daenerys, John Snow) and degrees of badness (Jamie Lannister, Stannis Baratheon). Baru Cormorant is so much more complex because she does terrible things, knowing they are terrible, internalising her regret and guilt. She'd not a baddie nor a hero. There is a whole lot more to the novel, beyond complex characters. An ultra-conservative empire, obsessed with eugenics and family values / 'social hygiene' but technologically advanced and, at least at the level of middle management, meritocratic. It's improving people's living standards, quality of life, life expectancy (unless you fall foul of their moral barometer), spreading through trade and capitalism and banking... while local cultures of diversity, minority faiths, non-nuclear families and sexually liberal attitudes get absorbed and destroyed. The book has geopolitics that do not match or even closely mimic our own, but take different aspects and play around with them. Falcrest acts like modern America / China, with the social mores of Nazi Germany and Saudi Arabia. You can read it in a dozen different ways, but it's a chilling adversary to encounter in a novel. Similarly, there is a lot in the book about the workings of power, the difference between the power people see and power as it really works. In fact, even though it must have written well before the #piggate affair, The Traitor's circles of power work exactly as described in 'The PM, the Pig and Musings of Power'. The parallels between novel and real events are so striking that I cannot help feeling a chill at how insightful, intelligent and authentic this novel really is. I will admit that it lost some momentum in the second half, but it makes up for that with an utterly relentless finale. Highly recommended if you're looking for a very smart, complex and entertaining read.